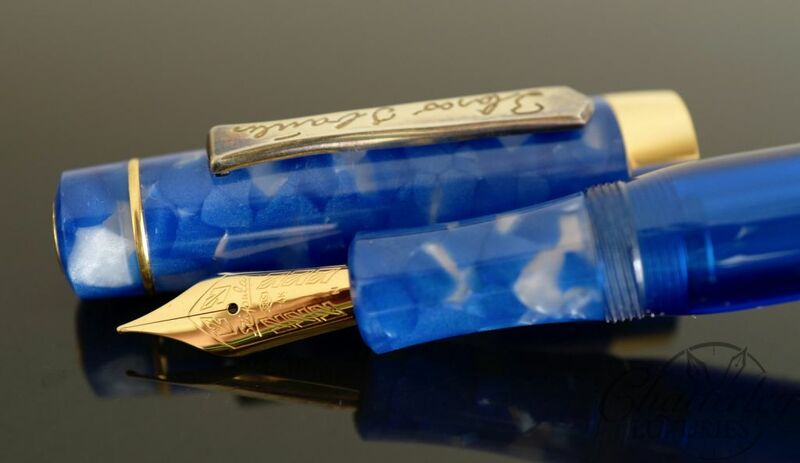 From Firenze and the Italian Pen manufacturer Stipula, and the creative mind at Chatterley Pens comes a custom pen with a 14kt gold single tone nib. 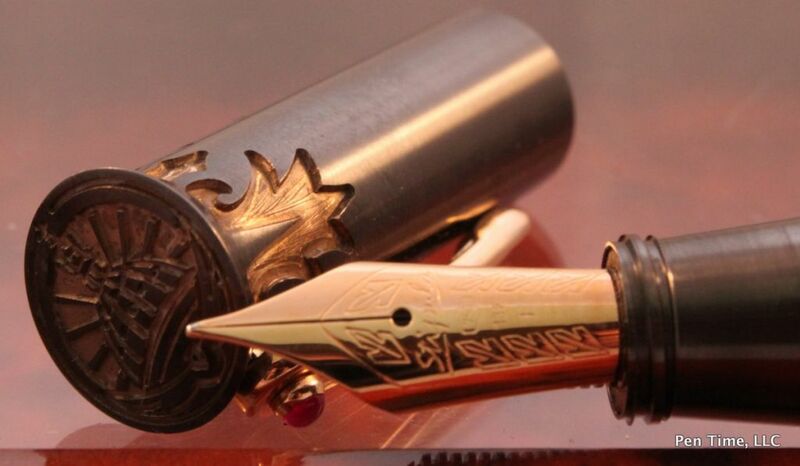 An elegant and natural color, seen daily in our world, but hardly replicated, the Mustard Yellow ebonite Limited Edition Fountain Pen was also fitted with a clip inspired by the famous column at Bertinoro. Bertinoro is known for its hospitality. An interesting feature here is the 13th century Colonna Delle Anella. Visiting traders were the main source of news, so the main families would argue constantly about who had precedence to offer shelter to travelers. The Column of Hospitality, or “of the Rings”, solved this problem: visiting travelers would tie their horse to one of the rings, and the family “owning” that ring had the right to offer hospitality to that traveler. This tradition remained for centuries, and is still repeated annually on the first weekend in September. Fitted with trim in Gold Vermeil (925 Sterling Silver plated with Gold) that blends wonderfully with this ebonite. 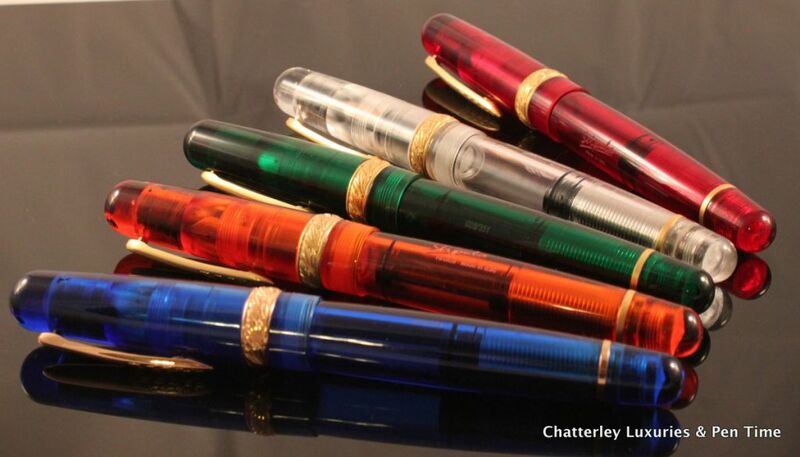 This fine writing instrument is accented with three smooth rings on the cap below the clip and a wide ring on the section where it meets the barrel, unseen until the cap is unscrewed. In this collection Stipula has installed their in-house piston filling system.